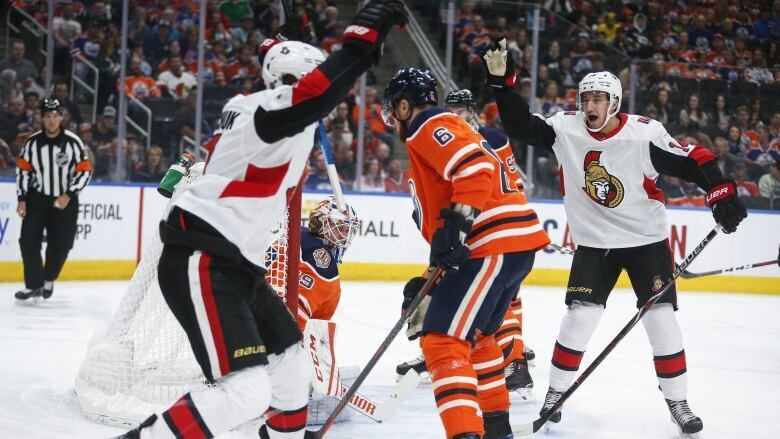 Brady Tkachuk scored his second of the game 2:09 into overtime as the Ottawa Senators put a crimp in Edmonton's slim playoff hopes with a 4-3 victory over the Oilers on Saturday. The Ottawa Senators played the kind of game Saturday that head coach Marc Crawford enjoys watching. "It's been a long-time coming," he said. "Personally it's been a tough stretch, obviously, to be close without [being] able to get there. Tonight we were able to get there and finalize it and get the win and it's just a great feeling to have."